• Lauren DelRicci shares how volunteering through The Mission Continues helped to build unity and community among veterans. 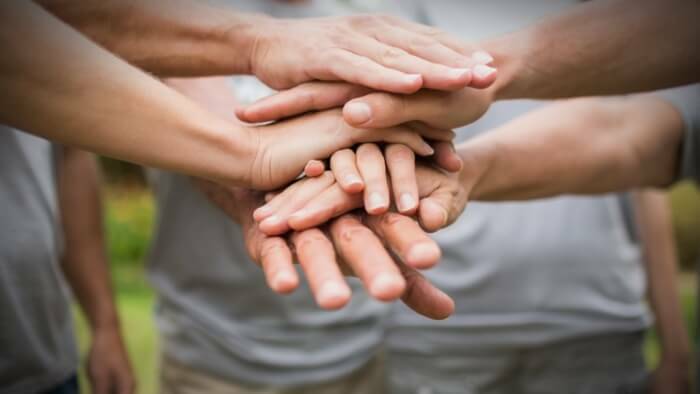 • How can funders support groups that bring people together to improve their communities? Are you volunteering effectively? • Learn how to get involved with volunteering. Volunteering with The Mission Continues has exposed me to people that come from all walks of life and has given me a unique opportunity to gain fresh perspective on the passionate commitments that both inspire us and tear us apart. From the moment I arrived at the Charlie Class of 2017 Orientation, where I met my veteran brothers and sisters from across the country, to the World War II veterans that I’ve had the privilege to connect with while serving with my host organization the Veterans Breakfast Club, I’ve had the opportunity to learn and grow from new and different experiences. These experiences have helped to diminish my fear of the unknown while opening my eyes to sacrifices the more senior veterans have made to support our freedom as Americans. Additionally, as I continue to volunteer with the Service Platoon Program in where I live in Pittsburgh, I’ve had a chance to meet my neighbors and serve alongside them, allowing myself to listen to their stories and to share my own. I smile when I notice onlookers watching us in our blue shirts, fixing up an old house, hosting outreach events, or restoring a child’s playground. They witness diverse people working as a group, completing tasks no one could do alone. Read the full article about finding unity among volunteers by Lauren DelRicci at The Mission Continues Blog. We are facing a pivotal moment in history where two major movements are aligned. The #MeToo groundswell is changing the way we talk about taboo subjects that long seemed immune to honest discussion and genuine change. At the same time, women in philanthropy are achieving a rising level of wealth and influence. It’s time for female donors to capitalize on this entry point and accelerate change, especially on issues that profoundly affect women and girls. This moment is made even more powerful by broader trends. Women philanthropists and nonprofit leaders are keen to collaborate with business and government. This is increasingly important as we develop comprehensive solutions to social issues at home and abroad that require collaboration to achieve deep, systemic change. In addition, collective funding approaches such as giving circles are on the rise, with women in the forefront. These efforts often are in line with greater activism by donors, encouraging them to engage directly in solving problems rather than just spend money. Learning with others and benchmarking are key steps towards becoming an impact giver. If you are interested in giving with impact for Civil Society, take a look at these events, galas, conferences and volunteering opportunities to connect with individuals like you.